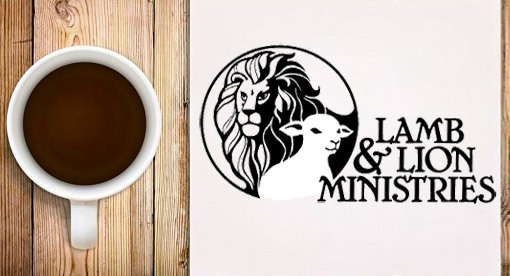 In the last segment, Bill and I discussed the timing of the Rapture and the United States in relation to what I call the “War of Extermination” based on Psalm 83, which we believe is the first end time war. 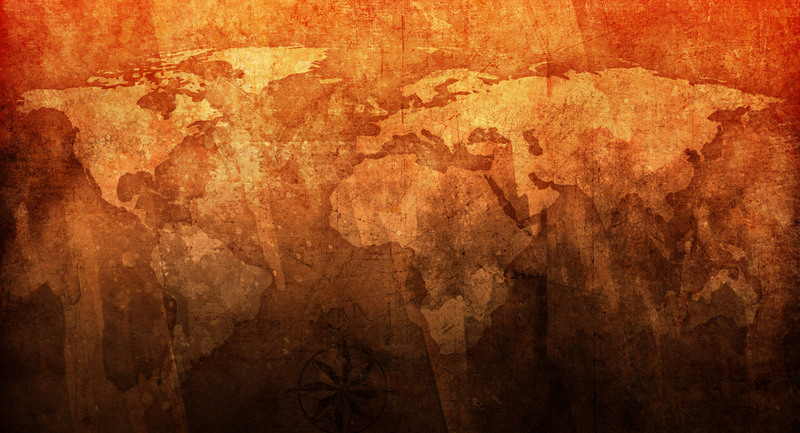 In this segment, we look at the second end time war in the series — the First War of Gog-Magog. After the Psalm 83 War of Extermination, as you call it, would the second end time war in the series be the First War of Gog-Magog? 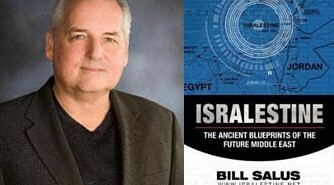 Bill Salus: Let’s talk about the war that naturally would seem to follow the taking out of the inner circle of Arab nations around Israel in Psalm 83. It would appear then according to your article that Ezekiel 38 and 39 would be ripe to occur? Dr. Reagan: Yes, I think that if Israel will be living in peace, it would be with expanded borders and great wealth. I think that the whole Arab world then would naturally turn to Russia which is their natural ally and invite the Russians to come down and assist them. And, I think this is going to set the stage for the Ezekiel 38 and 39 war which would be the second of these wars. Russia will come down with Turkey and Iran and with other Muslim nations that surround Israel in an outer circle. In fact, all of the Arab nations are Muslim nations in the outer circle, except for Saudi Arabia which the Bible says will sit on the sidelines and not get involved. I think that would be the next war. I think that Russia would come after not only the great wealth of Israel, but I really believe that they will be coming down also for the wealth of the Arab nations. Russia has always wanted the Middle East. They have always wanted the oil fields. They have always wanted a greater presence there. And, for the Arabs to invite them to come to take care of Israel, well, I think they will be coming with a smile, not only to take care of Israel, but also to put all of the Middle East under their hegemony and have greater control of that area. You may remember that after World War II Russia invaded Iran and refused to remove their troops until after the end of World War II. President Truman called in their foreign minister for a meeting. When the meeting was finished the Russian minister came out and he was white as a sheet. He was asked, “What did the President say?” H replied, “All I can say to you is that I have never been talked to like that in my entire life.” What Truman basically told Russia was, “You either get out of Iran or we’ll drop a nuclear bomb on you.” They withdrew their troops, but they still wanted Iran. 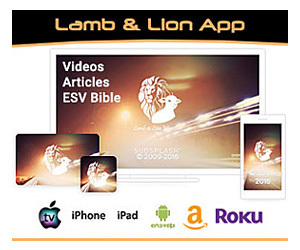 Bill Salus: I give credit to Joel Rosenberg and Chuck Smith from Calvary Chapel and many of those people who are teaching pretty strongly about the Ezekiel 38 and 39 War. We are suggesting that perhaps this war is near, but it’s not the next war. Bill Salus: A lot of good articles are being forwarded around that Russia and Iranian national relations have never been stronger. Russia is helping Iran with their nuclear program. We’ve also recently got Turkey, a member of the Ezekiel 38-39 coalition, contracted to get the S-400 missile defense system. And Libya, who is also involved, Russian recently contracted with Libya to develop a nuclear program of their own. Dr. Reagan: I think the things that are happening in Turkey are very important along this line, because the Turks have wanted so much to get into the European Union. The European Union is scared to death of them because they know that the moment they were to be added to the European Union they would have to allow free immigration into all of Western Europe and there would be a flood of Muslims into Western Europe, which they don’t want. So, they have found every reason in the world to keep the Turks out. And, as they have done that, the Turks have become more and more upset. Turkey now has a very nationalistic leadership that is very Muslim-oriented and is basically saying they need to become a Muslim nation, which they already are, but they aren’t in their government yet. Turkey is saying that they need to do that. What I think we are seeing is Turkey being forced to turn its attention away from the West and back towards the East, getting in bed with its natural allies. Bill Salus: Turkey over the past few decades has looked like a fish out of water. Bill Salus: I am going to put a plug in here for Dr. Ron Rhodes, he has a book called Northern Storm Rising. It is an excellent book to give you a broad perspective of the whole Ezekiel 38 and 39 invasion. Dr. Reagan: It is an excellent book! The only weakness of it is that it was written before your book, and so Ron doesn’t consider Psalm 83, but he certainly has a lot of good arguments in there. The book is about the timing of the Ezekiel 38 and 39 War. 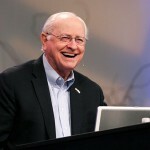 It asks when the war will be — “At the middle of the Tribulation? 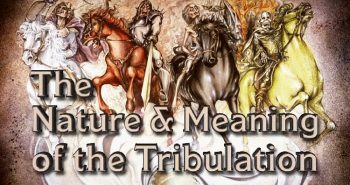 At the beginning of the Tribulation? Before the Tribulation?” He believes that it will occur about 3 1/2 years before the Tribulation starts. Bill Salus: As does Dr. Arnold Fruchtenbaum and myself. I believe even you, correct? Dr. Reagan: Yes, that is true. Do you believe that this Russian-Iranian led consortium will be a nuclear equipped invasion of Israel? Dr. Reagan: Yes, I think there will be nuclear weapons that they will certainly bring with them. Whether they will use them or not I don’t know, but they’ll certainly bring them with them. The Bible in Ezekiel 38-39 talks about the Israelis using these weapons for seven years, burning them, and it could well be that it is talking about nuclear fuel. 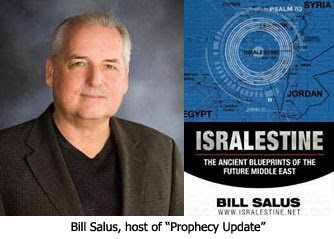 Bill Salus: There has been a lot of promotion lately about an Islamic Antichrist. Now, if Psalm 83 consisting of primarily Muslim countries and Ezekiel 38 and 39 consisting of numerous Muslim countries, and if these wars end up in a bitter defeat for Islam as we know they will, then what does that say for the survival of Islam? Dr. Reagan: Well, it doesn’t say a whole lot because I think God is going to be using these wars. One of the purposes of these wars will be that God will use them to judge Islam. I think that when these two wars are over with, you are going to find Islam in total disarray in the Middle East, because all of the Islamic nations will have been defeated except for Saudi Arabia. Of course, the vast majority of Muslims in the world do not even live in the Middle East, they are not Arabs, they live in other countries. The largest Muslim country in the world is Indonesia, the second largest is India, the third largest is Bangladesh, and the fourth would be Pakistan. So those are your big Muslim nations which are not even in the Middle East, but certainly Islam is going to suffer an overwhelming defeat in the Middle East. Bill Salus: Recently President Obama said that America was one of the largest populated Muslim countries. Dr. Reagan: I think he must have been smoking something. Bill Salus: Jack Kinsella came on my radio program and cleared that up. He said the CIA Fact Book says that there have been more people who believed they were abducted by aliens than there are Muslims, so obviously his facts were a little bit messed up on that. Now regarding Saudi Arabia not being involved in Ezekiel 38 and 39, they will be taking a hit for their role in Psalm 83, though not necessarily a devastating hit. Ezekiel 25:12-15 does say that Dan shall fall by the sword. It also talks about the Hamas in the Philistia area getting hit, as well as it appears the Palestinian representatives of the Edomites in those passages. In the next segment, Bill and I will be discussing end time wars 3 and 4 — The Conventional War of the Tribulation (Revelation 6) and the The Nuclear War of the Tribulation (Revelation 8 & 9). personally, i`m still not sure about the 3.5yr gap between Gog,Magog and the tribulation, tho it would cause some things to fit. if there is a gap and it occurs after the rapture which i firmly believe it would allow time for the ten toes/horns (5 from east and 5 from west??? 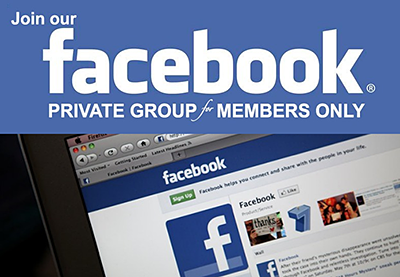 )to rule while anti-christ rises from europe AFTER global government is formed. hartdawg, it fits like a glove when you think logically about it. The Bible says the Israelites will burn the weapons for fuel for 7 years. If the Gog-Magog war occurs right before the Trib, then it's only 3 1/2 years before they escape to Petra where God will provide for them. No need for anything. If it's 3 1/2 years before the Trib., then that gives them 7 years to burn the weapons before they have to abandon Jerusalem. And, I had never thought about it, but Russia turning on her allies does explain why Israel's enemies turn their weapons on each other. It's something to consider. 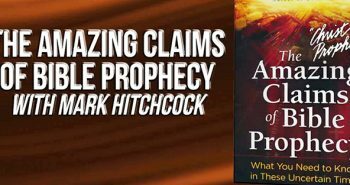 I'm curious about others' thoughts on Hal Lindsey's theory that there will be an EMP over Israel before Gog-Magog and it being the reason Ezekiel describes soldiers on horses. with the global catastrophy going on "the whole earth shaking" people wouldnt make the connection that millions disappeared. after communism in russia collapsed i believed Gog/Magog would occur at midtrib. by the way, i`m not sure there will be a 3.5yr gap between Gog/Magog. they very well could use the 7yrs tribulation burning fuel. 7yrs burning fuel is very "coincidental"
Hartdawg, why do you place the Gog-Magog Battle at the mid-point of the Tribulation, btw? I covet (in the Christian sense 😉 your all's prayers for next week's conference. It's my first time speaking at a conference and I haven't quite nailed down what my style is yet. I'm coverning the Gog-Magog Battle. The other speakers have decades of experience on me. Thanks! sorry nathan, i was not very clear, after the fall of communism i DID place it at the middle for a time. the reason was 1)during the 90s the battle seemed distant and i thought of dumb senerios so i could believe the rapture was close, 2)i didnt understand how isreal could be in peace.